We're about quality products, period! 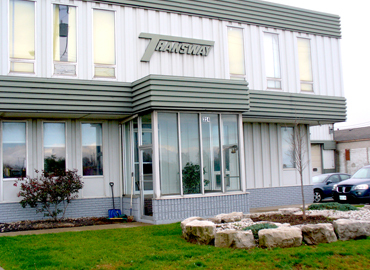 Transway Systems Inc. is a family owned and operated custom manufacturer of professional vacuum equipment. With three generations working together, Transway is committed to providing over 30 years of family tradition with our reputation of premium quality custom designed vacuum equipment. Our ongoing success is a result of the commitment, experience and skills of the people who stand behind Transway Systems Inc.
We are a proud North American manufacturer that is engaged in the development, design and sales of hydro excavation trucks, septic trucks, sewer trucks, toilet trucks, water trucks, and industrial vacuum equipment worldwide. Our formula for success is simple: give our customers more for their money, exceptional after the sale service, and pride in our final products. In 1962 John and Marion Posta owned and operated Transway Construction and Transway Steel Building. In 1983 the opportunity arose to expand Transway to include a manufacturing facility serving the liquid waste industry. With the guidance of the Posta’s, the company quickly outgrew its facility and moved to a larger location giving Transway Systems the opportunity to broaden its product line. 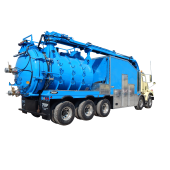 Transway Systems has grown into a worldwide recognized leading manufacturer of vacuum truck equipment . With family tradition, pride and commitment, Transway Systems Inc. continues to innovate and strive to be the best! Transway Systems Inc. feels that every customer is unique, and with that comes distinctive requirements. Our commitment is to listen and work with you to build the finest vacuum system possible. Backed by years of experience, custom manufacturing capabilities and an extensive inventory of quality industry proven parts, we provide a level of service second to none. Take advantage of our quality, experience and after the sale service and support. If you are looking for a reliable, quality vacuum system, then choose our family. We care about you and your investment. We are proud of our products and take pride in what we do and how we have contributed to this industry whether it is a septic truck, toilet truck, grease truck, industrial truck or a hydrovac excavator, Transway Systems is large enough to handle any job, yet small enough to oversee the most detailed customer service requirements. Quality - Transway Systems does not compromise quality for price. You can be assured of top quality products that we proudly stand behind. “The bitter taste of poor quality lingers long after the sweet taste of low price is forgotten”. Premium quality is essential when building equipment whether you are a small entrepreneur, municipality, or a large conglomerate. We take pride knowing our customers are always satisfied and that our product not only represents our customers, it represents Transway Systems and our trusted reputation. Experience – Transway Systems can provide the products you desire and deserve with no compromise. Our goal is to achieve and accomplish whatever task is asked of us and we have proven that with over 30 years experience, our drive to be the best in this important industry is essential for a great product. We are a worldwide company that is not only recognized for our innovative designs, but for our vacuum systems ease of operation. Our ongoing success is a result of the dedication, experience and skills of the people who stand behind Transway Systems Inc. Custom – You can’t spell “customer” without “custom”. Transway Systems works with its customers to create custom units to fit your individual needs. We offer a level of individuality that is unmatched by our competitors. One of the benefits of working with Transway Systems is that we understand that your purchase is not merely an expenditure, but rather an important long-term investment which will affect and determine the profitability of your venture. Transway Systems designs and manufactures vacuum equipment for your individual and specific requirements. Desire, design, deliver. Service – Transway Systems stands behind its products. With an extensive inventory of quality industry proven parts, we can provide a level of service second to none. Take advantage of our quality and experience. 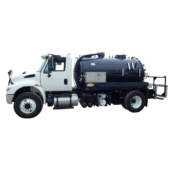 From septic, industrial, sewer, grease or hydro-excavating, Transway Systems has the experience and knowledge to accomplish what you need. Without great service we would not have our loyal customers, and that’s because we stand behind our great products. Transway Systems commitment to provide service, quality, and price does not end with final delivery of your equipment. “Quietest Hydrovac in our Fleet” Since 2010 we have bought 9 hydrovacs from Transway systems. The Transway hydrovacs are the quietest in our fleet of 31 hydrovacs. 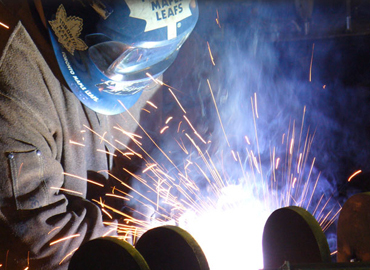 Transway listens to our needs in designing a truck that best meets our customer requirements. Transway delivers a top quality product and stands…Brett Tye Ontario Excavac Inc.